S’busiso Ntlou, a second year mechanical engineering student, launched VarBursaries which will act as a hub of tertiary funding. Students will now be able to apply once for various bursaries and scholarships by using an online network created by a Wits student. Launched on July 20 by S’busiso Ntlou, a second year mechanical engineering student, VarBursaries will act as a hub of tertiary funding. The site will offer a database of companies and the bursaries that they offer. The bursary companies will be able to view students’ profiles and academic information and engage with them directly regarding their application. For students who do not have access to a computer, feedback from prospective companies can be sent directly to their mobile phones.The platform is only expected to be operational in 2018. For now it is still in the testing phase, according to Ntlou. She says the network will work similarly to LinkedIn, but for students and prospective bursary companies only. “You submit that one form and then you can go to the different tabs to see which companies are actually listed on the website, and you just click and apply,” the 20-year-old explains. The platform will not be limited to bursary options, but will help students to apply for loans, learnerships and crowdfunding. “In matric I applied for more than 15 bursaries but I only got a response from one,” says Ntlou. “So I had to go through my first year being self-funded and in my second year I had to repeat the process again which was very tiring and straining because I was really busy with my first year. So, keeping up with the deadlines and having to remember to apply was very tough for me and I felt very frustrated.” Ntlou says the process is simple. “The form is automatic because you don’t have to wait for application dates to open. You fill it in at the beginning of the year and throughout the year we just keep submitting them for you as application dates open,” she says. 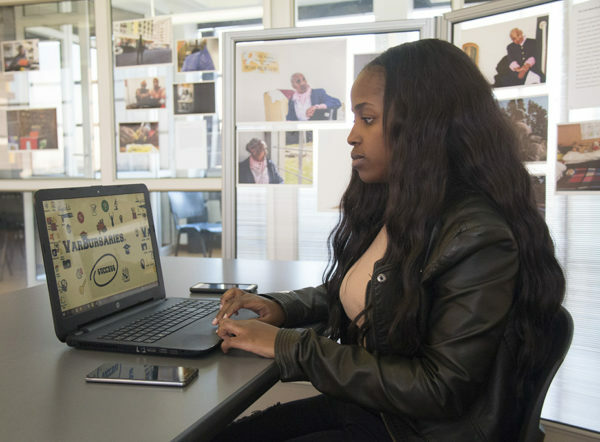 A third-year Organisational Psychology student who is currently self-funded, Yondela Tulumani, says she is looking forward to such a network to help her obtain funding. “I think using the Varbursaries network would make life so much easier. Applying for funding can be very stressful because of all the paperwork and online pages it requires. Cutting all that down to one form would save a lot of time,” she says. Watch the video below on how to use the app.